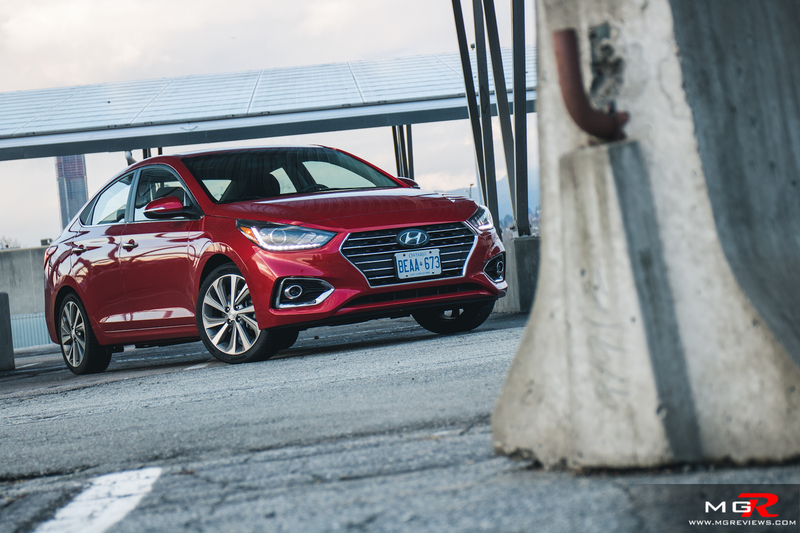 2018 is a big year for Hyundai as it sees updates for the Sonata, Elantra, and now the Accent. 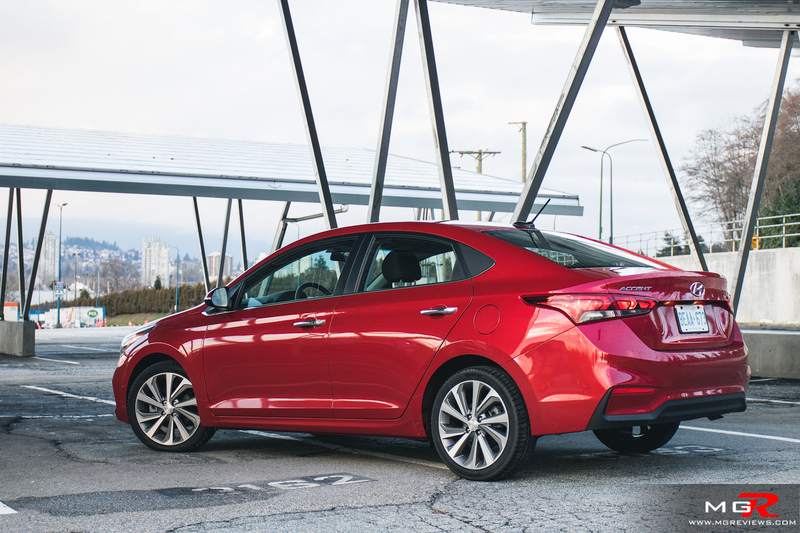 The new generation Accent offers more space than before and a more fuel efficient engine along with a feature rich cabin. 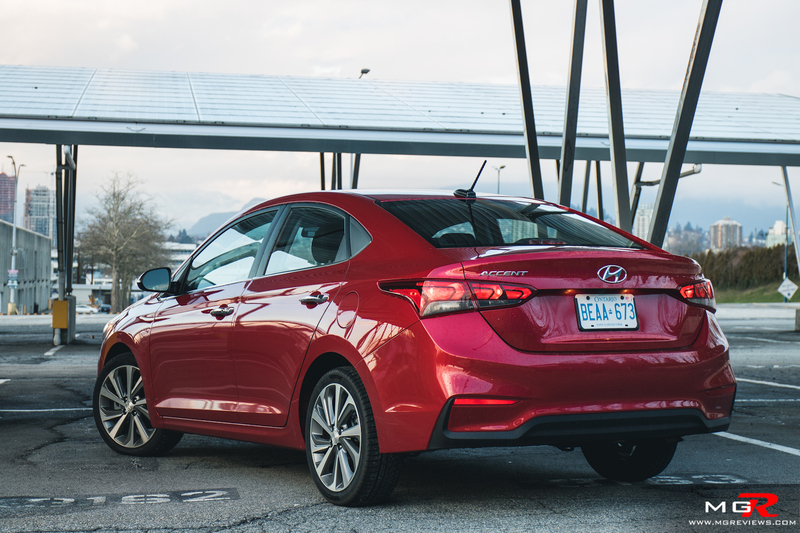 Available as both a sedan and a hatchback (only in Canada and Mexico though, American consumers have to make due with the sedan only), the Accent is an affordable box on wheels. Or is it more than that? 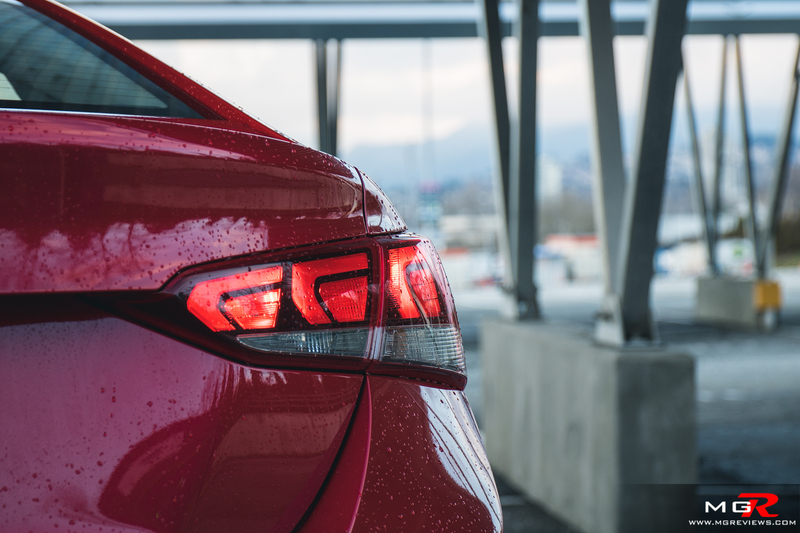 Engine – No matter what trim you choose, you’ll get the 1.6L “Gamma” 4-cylinder engine. Power is at 130hp, which is down from the previous model at 138, but fuel economy is up. During my week of driving I managed around 7.8 L/100km on a combined highway and city driving cycle. To drive, the engine feels a bit more peppy than the one in the Honda Fit. It has a better feeling of torque at lower rpms and is more responsive. Transmission – The lower trim Accent is available with a manual transmission but this top GLS trim is only available with a 6-speed automatic. As far as transmissions go, this one shifts gears smoothly and is relatively responsive to driver input. It also helps the Accent achieve it’s 8.2 L/100km city fuel economy rating and 6.3 L/100km on a highway. Braking – The brakes on the Hyundai Accent are race derived carbon ceramics. Actually no they’re not. They’re just regular steel brakes that provide a good amount of braking force to stop the Accent. Also available for the first time on the Accent in forward emergency braking which thankfully is not too sensitive like other systems. 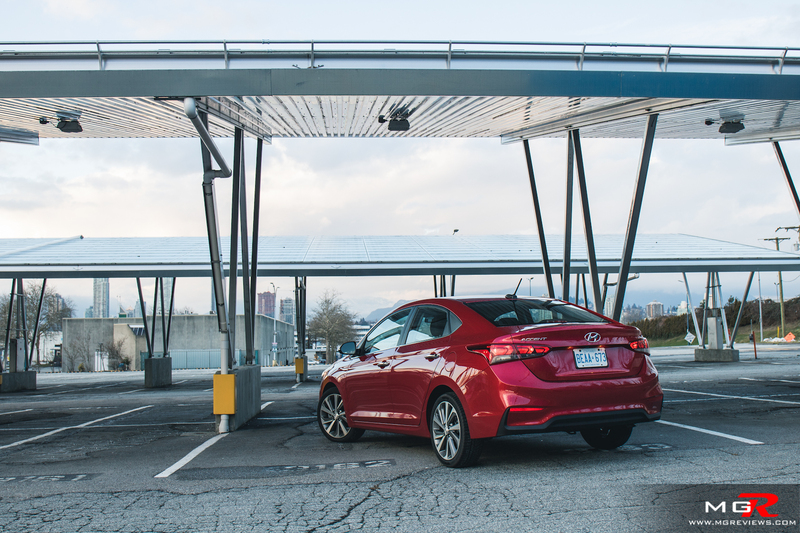 Handling – For a small city car, the Accent is nimble and easy to dart through traffic. 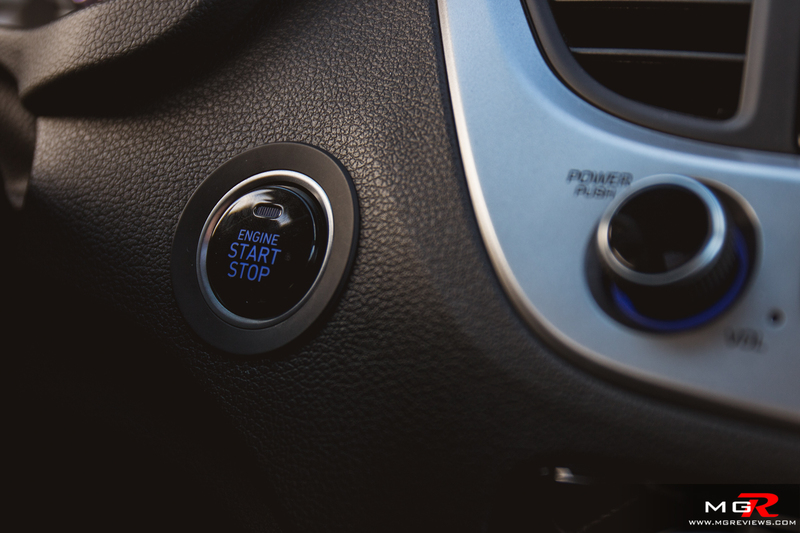 Like other compact cars in the market, the steering is lacking in feel and is rather light for ease of maneuverability. But it still feels like it’s connected to the front wheels and that you’re in control of the car. 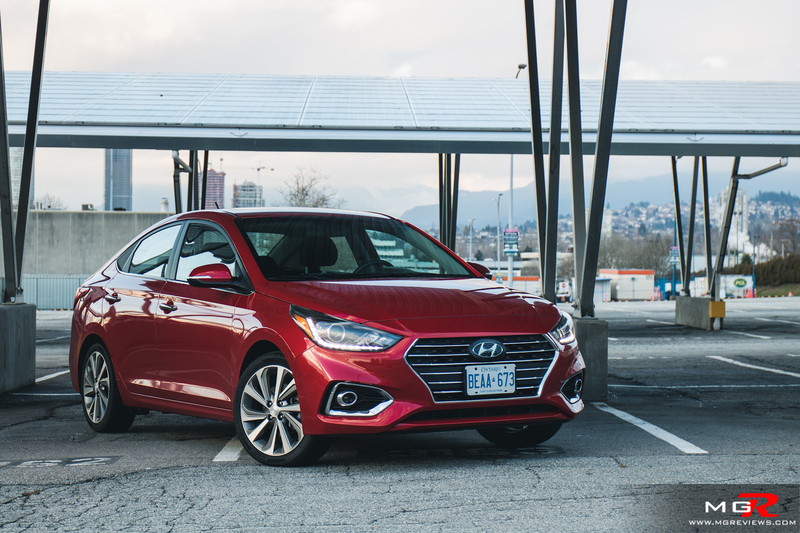 Ride Comfort – Being a city vehicle, it can’t have stiff suspension and in this case the Hyundai Accent doesn’t. The suspension is soft enough to absorb majority of city potholes and manhole covers. Deep potholes do make the car feel a bit unstable though especially when driving at higher speeds. The front seats provide ample cushioning for daily driving but don’t expect them to hold you in when taking those 90 degree intersections at brisk pace. The rear seats are very tight for taller adults as leg and head room is limited in such a small car. 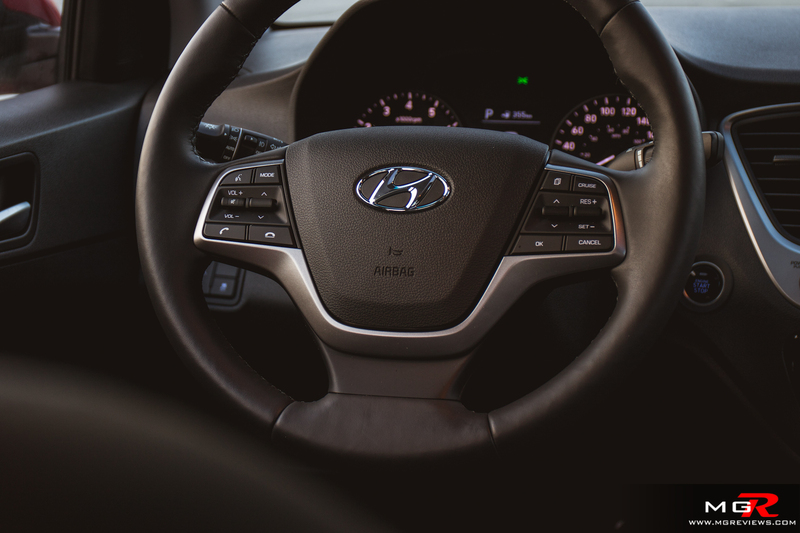 Noise, Vibration, & Harshness – This being an economical vehicle from a financial point of view, it’s understandable that the Accent doesn’t have as much sound deadening materials as the Sonata. But when accelerating and on highways, the noise intruding into the cabin is acceptable. However when it rains and the front wheels go through a puddle, there is a lot of noise coming from the wheel wells as the water splashes around. I normally never noticed this before in other vehicles but it is very evident in the Hyundai Accent. 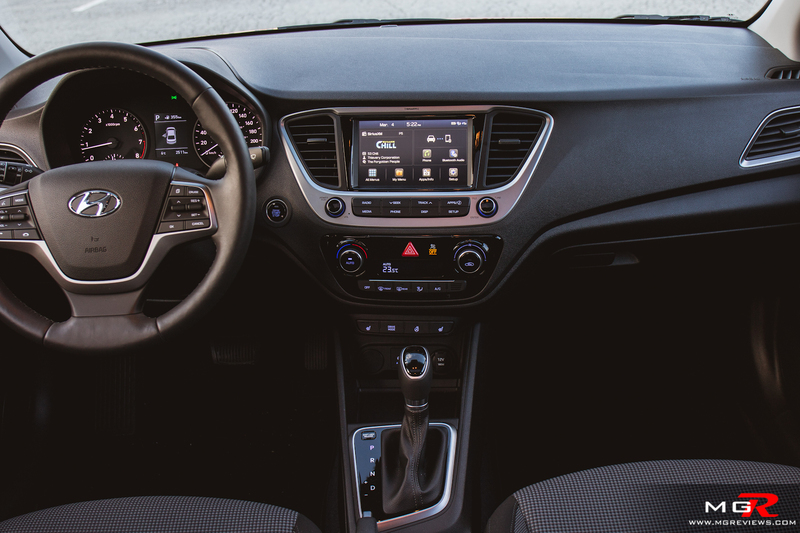 Interior Design – The interior of the Hyundai Accent looks pretty much the same as other current Hyundai models. 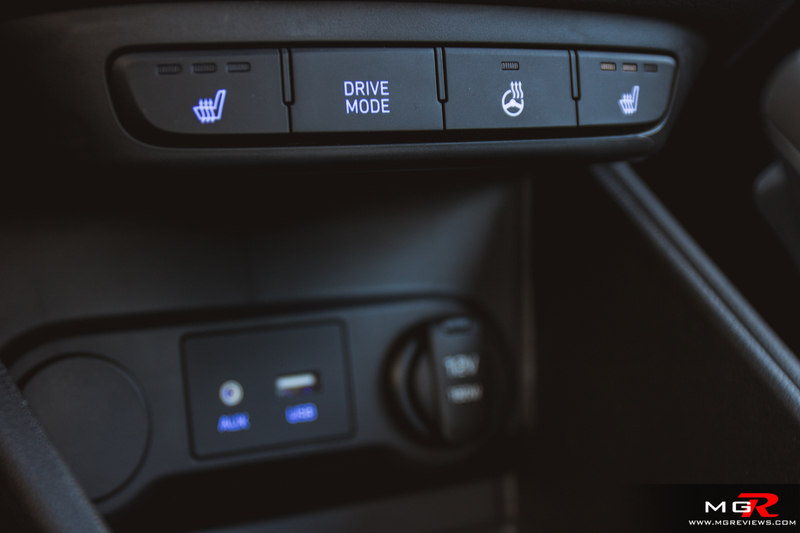 The infotainment screen is the predominant feature on the dashboard with simple to understand climate control and seat/steering wheel heater buttons below. 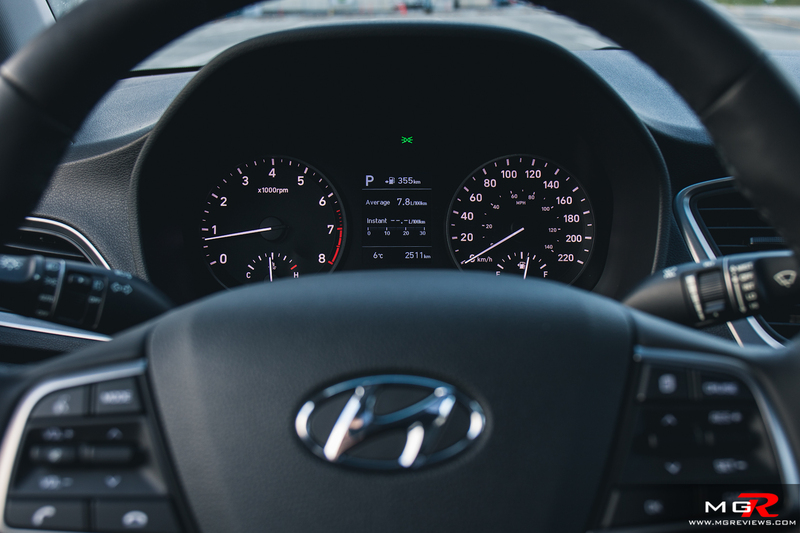 The instrument cluster is easy to read and in between the tachometer and speedometer is a small digital display that is controlled via buttons on the steering wheel. 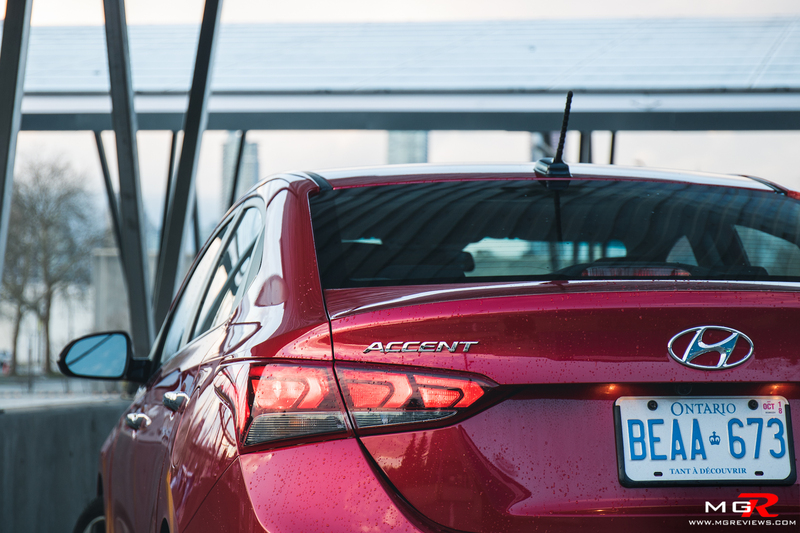 Gadgets – Things like blind spot sensors and lane departure warning and adaptive cruise control are not available in the Accent. 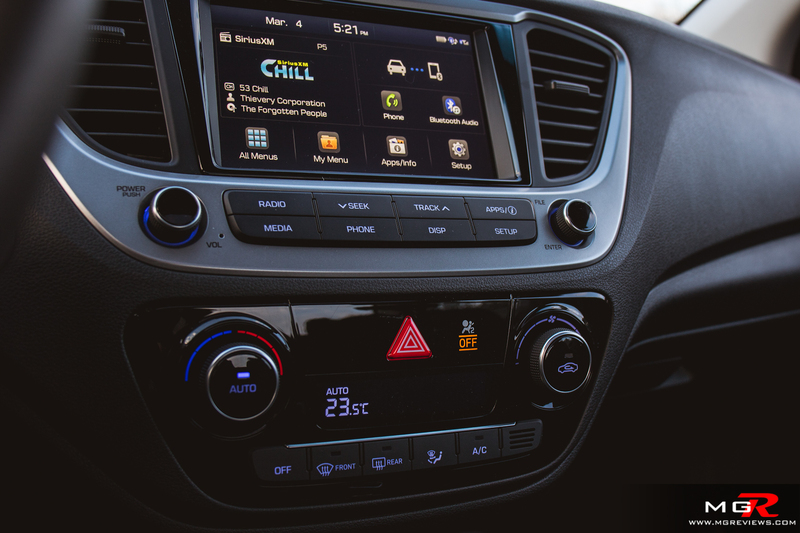 But it does still come nicely equipped with forward collision warning and emergency automatic braking, a backup camera, heated front seats, heated steering wheel, and Apple CarPlay and Android Auto. Navigation is not available but you can have Google maps displayed on the 7” screen via your smartphone. Exterior Design – The exterior of the Accent has a grown up, muscular look. 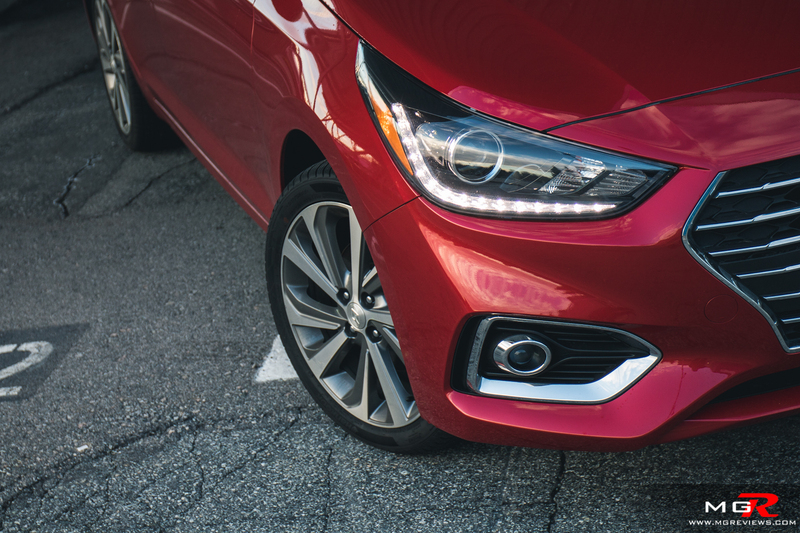 The front has more edges and a big grille like its bigger brothers, the Elantra and Sonata. The back has a similar angular but clean look aided by the hidden exhaust pipe. 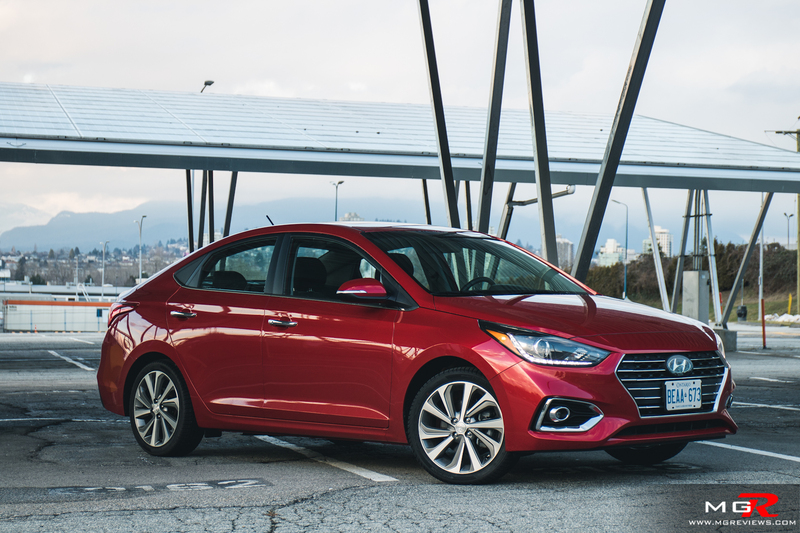 With all of the features and options, this GLS trim of the 2018 Hyundai Accent is around the $21,000 mark. 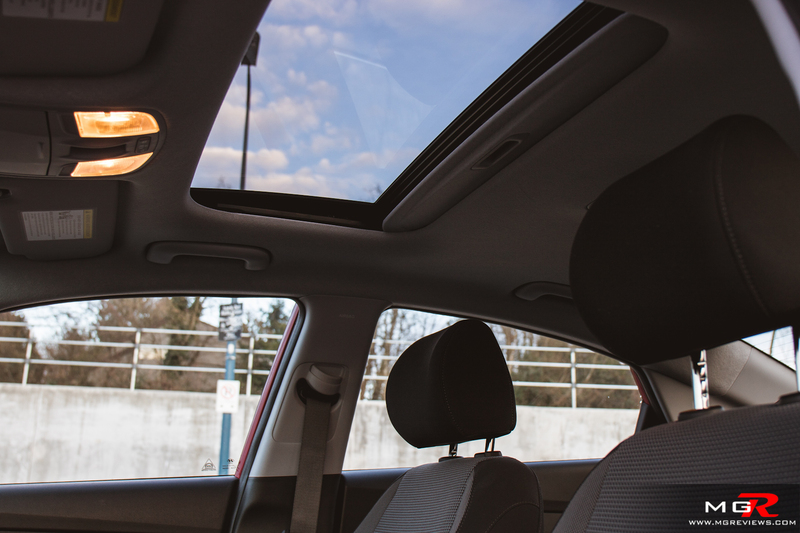 It is a bit steep of a price which is why the GL trim is the better bang for your buck to get. It still has the 7” touchscreen, heated seats, remote keyless entry and Apple CarPlay & Android Auto. The only things that you’d be missing is the push button start, the sunroof, and the projector headlights. Honestly if it was my money, I could live without those things and save the extra few thousand dollars and still have a great car.